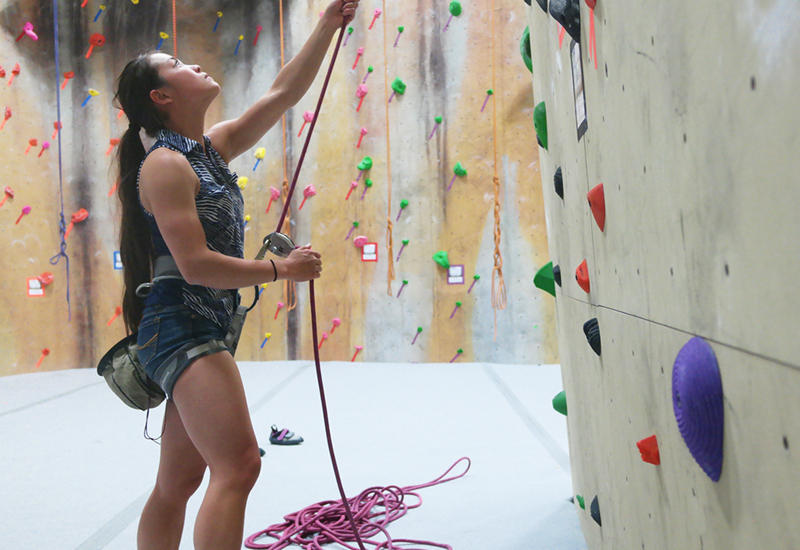 Our Intro to Climbing class will help you learn the basic skills you need to climb on a rope. You will learn the climbing basics; grading systems, beginning technique, how to fit a harness properly, how to tie in, and how to belay. After the class you will receive an all-inclusive, 2 week pass to our facility to come test out your new found climbing skills! (To learn how to belay, you will need a partner, so it may be a fun experience to share with a friend or family member). The course consists of two, 2-hour sessions over a two week period. Lead climbing topics include risk awareness, use of equipment, clipping technique, belay technique, and avoiding common mistakes. After your lesson, enjoy free climbing for the remainder of the day. Offered on Mondays and Wednesdays from 6:30-8:30pm. 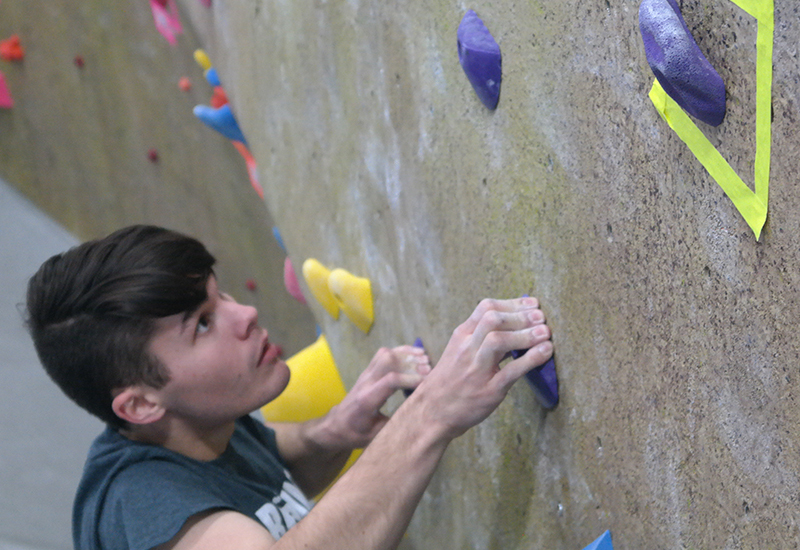 There is no better way to improve one’s climbing ability than working one-on-one with an experienced climbing coach. Whether you want to just come in for a single session performance diagnosis, or would like to enroll in one of our many topic-specialized sessions, we have offerings that best fit your needs.